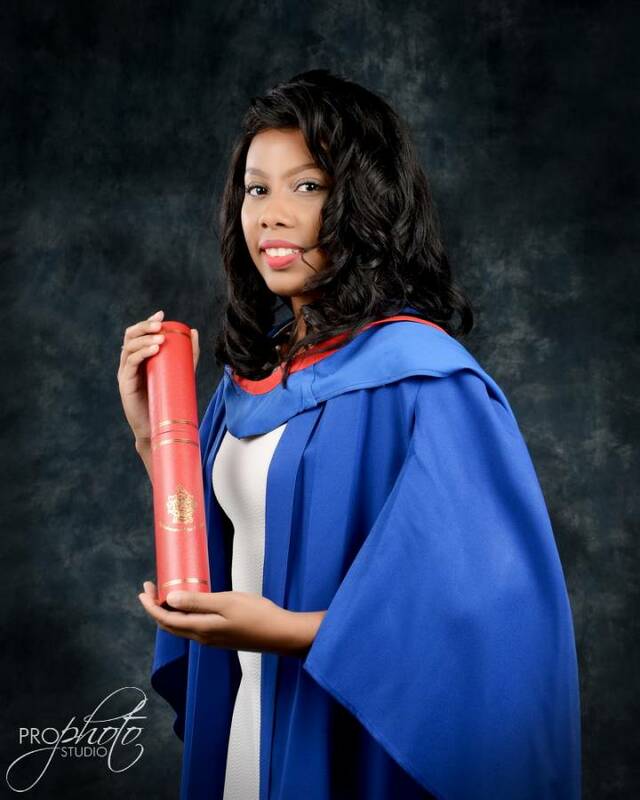 Arya Redhead, a former student of the St Joseph’s Convent St George’s is doing her island nation proud by excelling at the Hugh Wooding Law School and topping her 1st year examinations. She is a graduate of the TA Marryshow Community College (TAMCC) and a 2012 Island Scholar. Redhead was awarded the Book Specialists Prize for the 2nd most outstanding performance in the 1st year Hugh Wooding Law School examinations, the London House Chambers Kissoon prize and the MH Shah Memorial prize for her excellent performance in the area of Legislative Drafting and Interpretation. Redhead credits her grandmother Wilma Sampson, retired principal/teacher with her excellent performance in and her love for legal drafting, she describes her beloved grandmother as being a stickler for proper grammar, pronunciation and spelling. Redhead is the daughter of Gary Sampson (deceased) and Jasmin Redhead, an attorney-at- law and Family Law Specialist attached to the Legal Aid and Counselling Clinic in Grenada and adjunct Law Lecturer at TAMCC. It was no surprise therefore when she opted for the Human Rights Specialist Clinic as her clinic of choice at the Hugh Wooding Law School for her 2nd Year programme. She works closely with the Living Water Community to provide assistance and raise awareness of issues faced by refugees and undocumented immigrants in Trinidad and Tobago. During her August vacation breaks from the University of the West Indies, Cavehill Campus, where she completed her LLB degree, Redhead was attached to the law firm of Kim George and Associates in Grenada, where she gained tremendous insight into the practice of law and felt equipped and ready for the upcoming year of her programme. As part of her internship requirement after her 1st year at Hugh Wooding Law School, Redhead, with the assistance of Kim George was able to secure a brief stint at the Attorney General’s Chambers in August 2017, which she thoroughly enjoyed. This reinforced her resolve to pursue a Masters’ Degree in Legislative Drafting and return to her homeland Grenada to serve in that capacity. Redhead credits her overall excellent academic achievements with always being prepared, being disciplined and her love for the law. Congratulations to Arya Redhead; continue to make Grenada proud. Congratulations Arya. Jazz is a proud mama today!